The Mercedes-Benz S-Class is the finest when it comes to offering luxury. However, if you are looking at getting an S but at the same time want some exhilarating performance, worry not. 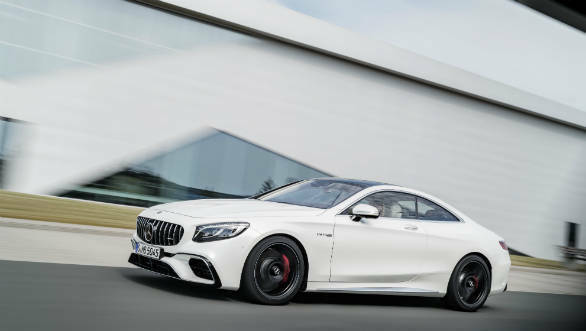 The Mercedes-AMG S 63 Coupe has been launched in India at Rs 2.55 crore, ex-showroom. Images of the car clearly tell us that new offering from the Mercedes-AMG range looks ravishing. 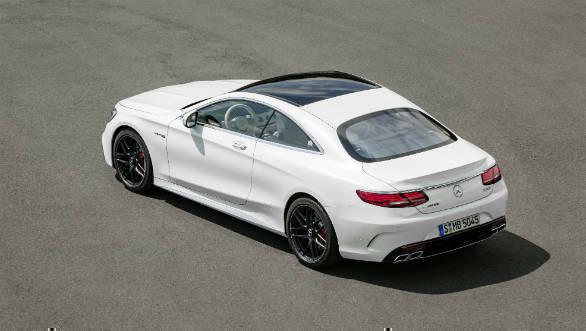 And it isn't just about good looks, as the Mercedes-AMG S 63 Coupe is powered by a 4.0-litre twin-turbo V8. Of course, the styling of the 2018 Mercedes-AMG S63 Coupe has updated which means it looks sharper and more attractive now. The coupe sports a 'Panamericana' grille, while the front bumper looks sportier now and also shows off a larger intake with more aerodynamic sculpting. The car runs on 19-inch forged, light-alloy wheels and gets quad-exhausts at the rear. All that sportiness does not mean the Mercedes-AMG S 63 does not skimp on luxurious interiors. It gets the flowing twin-touchscreen layout seen on other AMG cars, along with AMG sports seats covered in Nappa leather, AMG graphics in the infotainment and the delicious looking AMG steering wheel. The V8 powering the S 63 is almost in the exact same state of tune as the Mercedes-AMG E 63 S that we drove at the Buddh International Circuit recently, which means that the power output is the same at 612PS, though the torque figure now is up by 50Nm, to 900Nm. The S 63 AMG can accelerate from 0 to 100 kmph in 3.5 seconds and can hit an electronically limited top speed of 250kmph. This can be increased to 300kmph with the optional AMG driver's pack. The engine uses twin-scroll turbochargers and a 'hot-vee' configuration to improve responses and eliminate turbo lag. Cylinder deactivation has also been thrown into the mix, to improve the car's fuel efficiency. This powerhouse of an engine is mated to a 9-speed automatic gearbox.